The FWA have been in consultation for some time with Tottenham Hotspur over media facilities at the club's new stadium, and the results are stunning. The new stadium is set to stage the first of two test events this weekend, an under-18s game between Spurs and Southampton, followed by a legends game next Saturday against Inter Milan. Subject to approval, Tottenham will formally open the stadium on April 3 for their Premier League clash with Crystal Palace, followed by their Champions League quarter final first-leg against Manchester City, and media attending these games are in for a treat, according to Gerry Cox and Mike Collett of the FWA National Committee, who have been in consultation throughout and visited the stadium earlier this week. 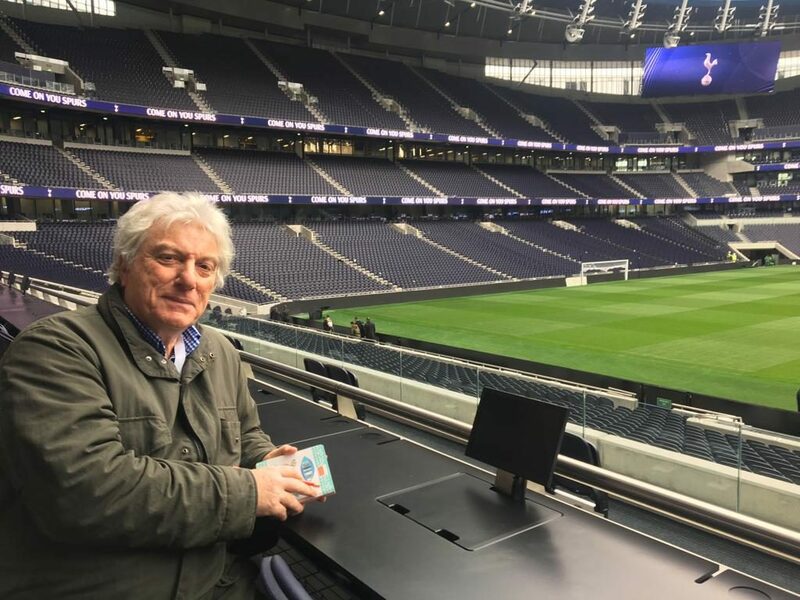 “Simon Felstein, the club’s Head of Communications, welcomed the FWA's input from the early stages of planning and listened to our ideas and responded to our feedback,” said Gerry Cox. “The planned media facilities looked first-class on paper, but when we actually saw them we were blown away. The stadium has been planned to accommodate world-class football and also NFL games, and the media facilities reflect this in size and state-of-the-art technology. Journalists and photographers have a dedicated entrance on the north east corner of the stadium, just off Tottenham High Road. The media lounge has space for over 200 in a relaxed environment, with a range of bar-stools, comfortable chairs and other seating . Workspaces feature plenty of power, ethernet and USB charging points. There are kit lockers for video-journalists and photographers, who also have a separate work room nearby. Hot and cold drinks and food are available before games and at half-time, with vegan and gluten-free options, while big screens will show relevant sports programmes and carry a club ticker with important information for journalists – news updates, lineups, etc. There is a dedicated broadband for media, through wi-fi and hard-wired connections, and Spitfire's representatives will be on hand to help with any connectivity issues. Access through to the press seating is via a dedicated media corridor, which leads to an impressive press tribune with seats for around 170 journalists – 118 with desks, 54 without. All desks have power and connectivity and a monitor for each pair. The press box is situated to the left of the halfway line with excellent views of the pitch and the visiting team's dugout just in front. All media areas are accessible for wheelchair users, with lifts and ramps. From the tribune it is a short walk to the press auditorium, which has 120 seats, with pull-out desks, power, ethernet connections and USB charging points. There is also a large, covered mixed zone adjacent to the dressing room area, which both home and away players will pass through after games, with wi-fi throughout. And for broadcast rights-holders, there are 10 flash interview rooms located next to the tunnel area. All in all, it is a perfect working environment for our members, and we thank Simon Felstein and the club for involving the FWA in the planning and implementation of these facilities.